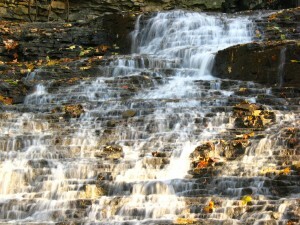 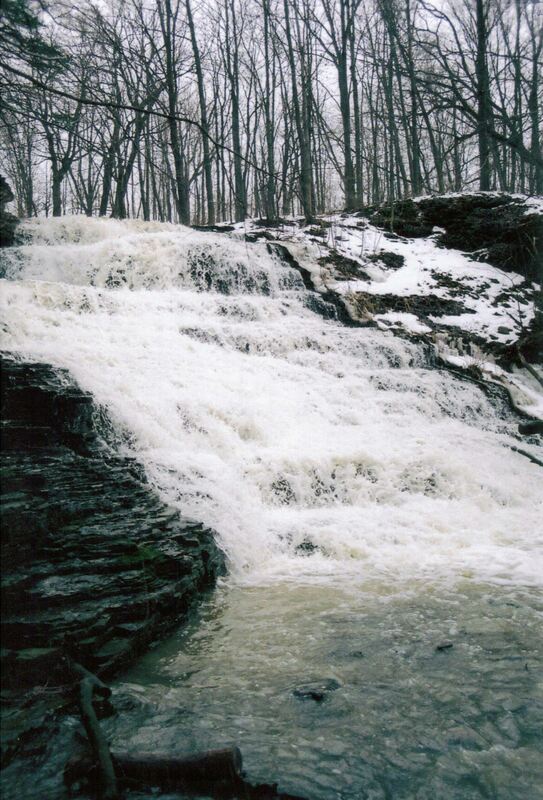 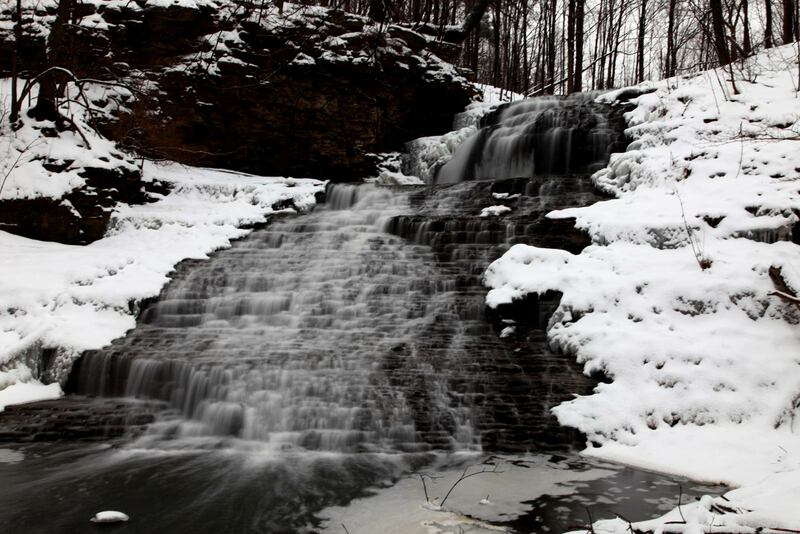 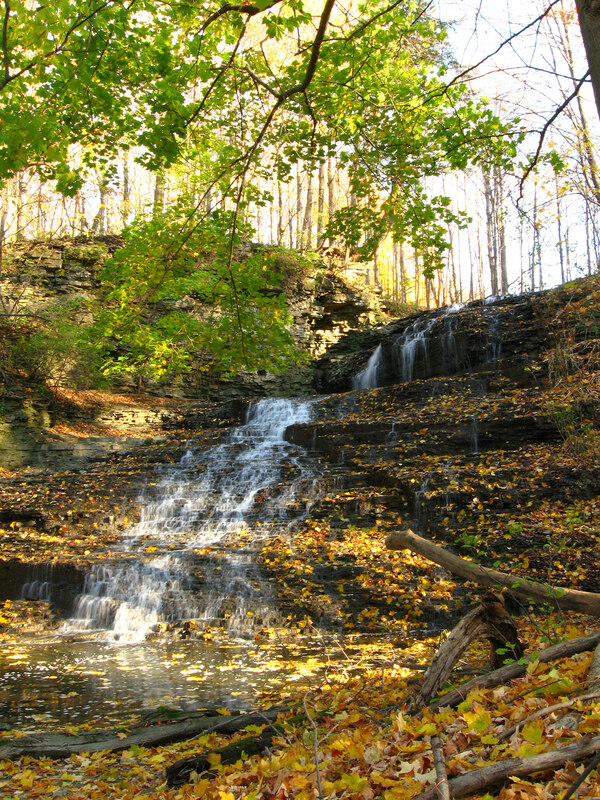 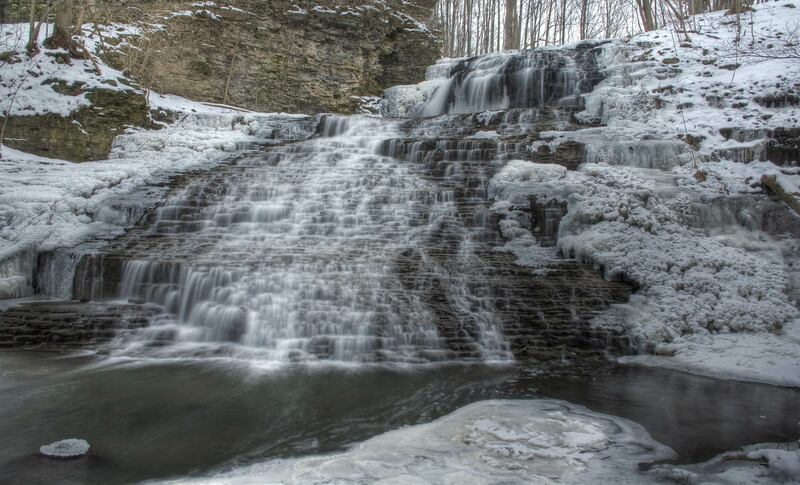 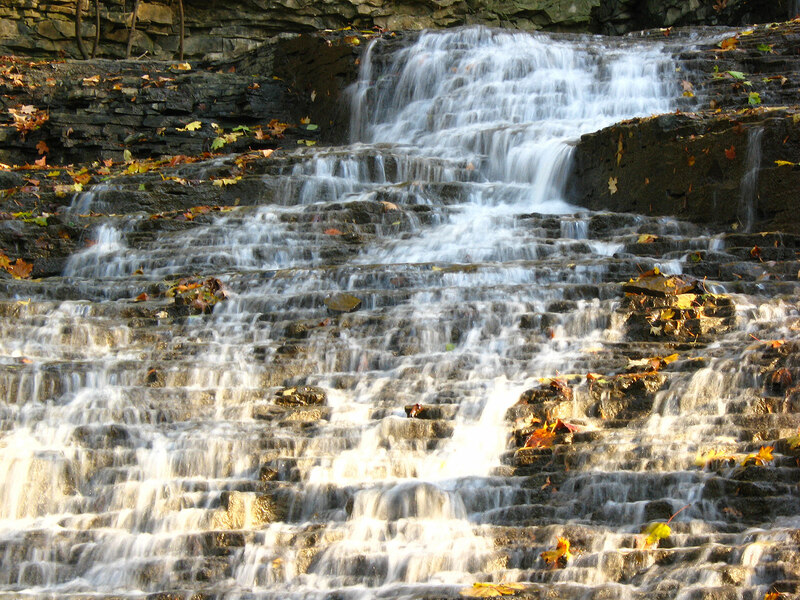 Stephanie Falls is located on Tiffany Creek above Washboard Falls. 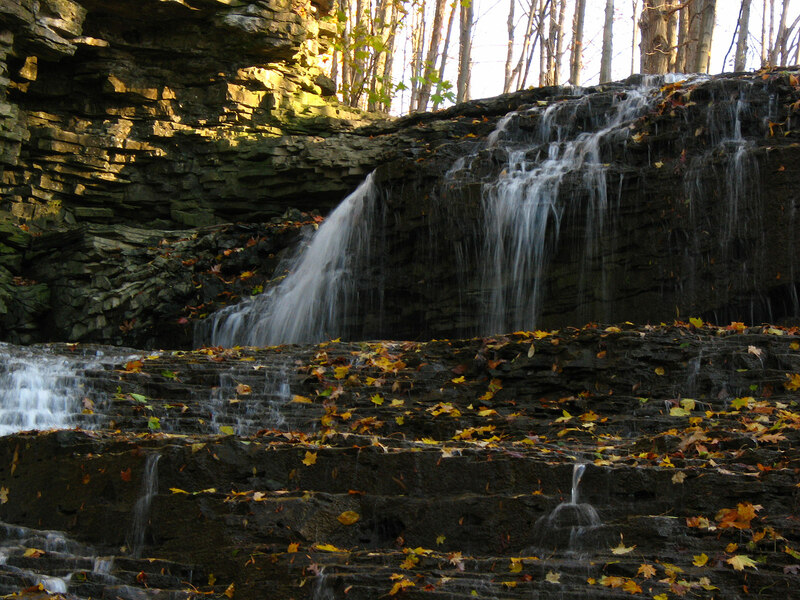 It is a Complex Classic Cascade with water flowing over it year round. 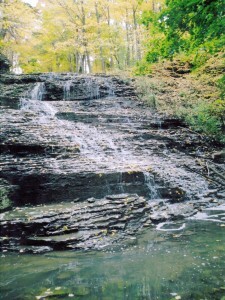 It measures 9 metres (30 feet) in height and 6 metres (20 feet) in crest width. 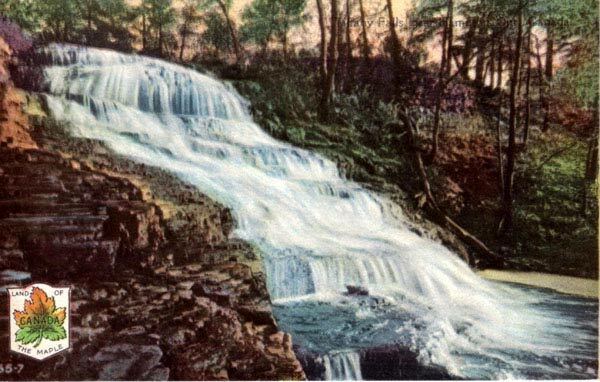 There is a vintage postcard dated 1928 which shows Stephanie Falls but calls it Tiffany Falls (as it is one of three waterfalls on Tiffany Creek). 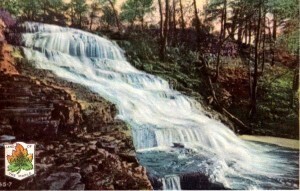 A copy of the postcard is posted below. Stephanie Falls is located on private property adjacent to the Tamahac Club property at 180 Filman Rd. 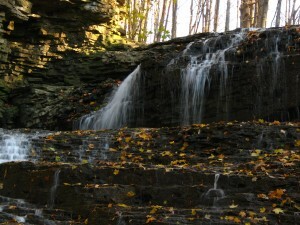 in Ancaster. The adjoining property owner, a developer, has made it clear that he does not want public access to this waterfall. 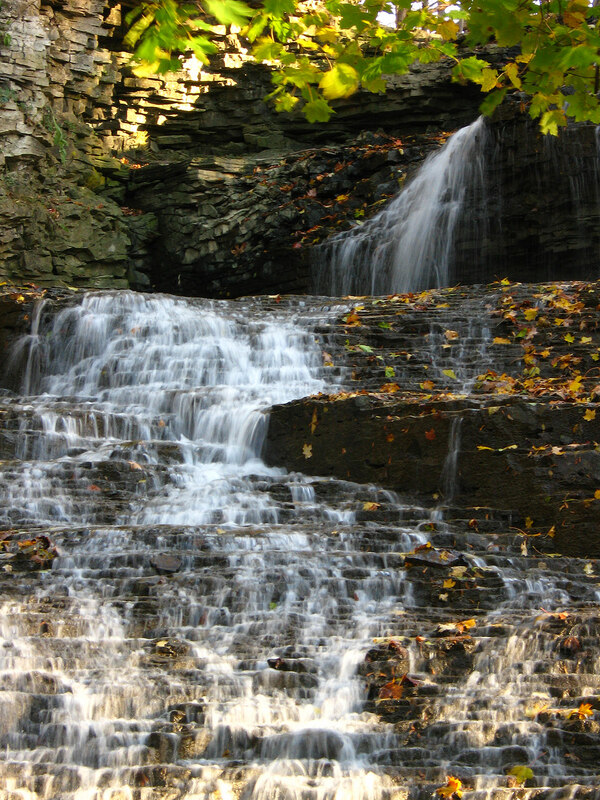 Stephanie Falls is a spectacular waterfall! 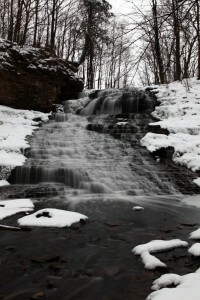 Hopefully it will be open to the public in the future. 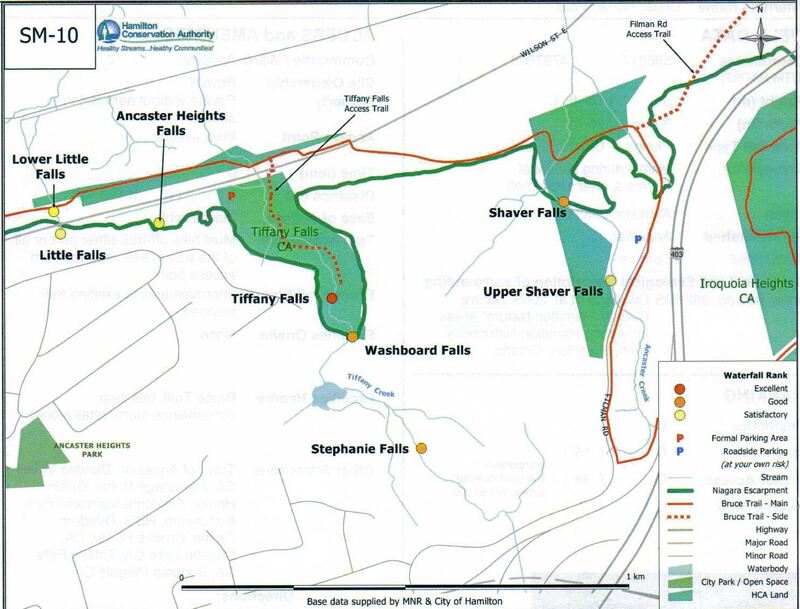 Map with Stephanie Falls and surrounding waterfalls.